The Mercat de la Independència is the central market of Terrassa. Traditionally, it has been the most important of the city. It occupies an entire block of houses which are among the streets Raval de Montserrat (where is the main entrance), Rambla d’Ègara and Carrer de la Goleta. It is one of the most emblematic modernist buildings of Terrassa, work of the municipal architects Antoni Pascual i Carretero and Melcior Vinyals i Muñoz. It was inaugurated on November 14, 1908 and its name commemorates the centennial of the beginning of the Peninsular War, also known as the Spanish war of independence. The market is characterized by an iron structure, the largest in the city, rather unusual at the time, since at that moment this material was only used as a decorative element. It consists of three naves with shape of a fan and 3,175 square meters. 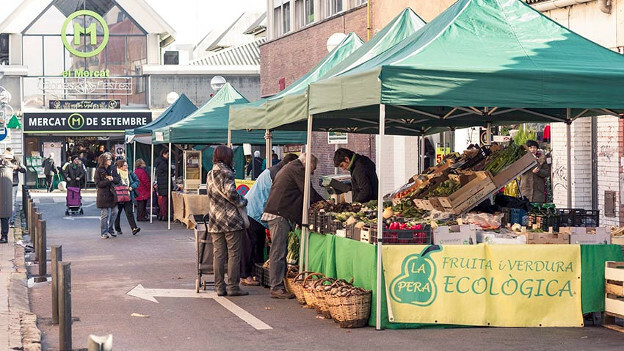 The Mercat Ecològic Itinerant promotes the varieties and foods of the season and of the territory and divulges agriculture and organic farming as a sustainable model for the preservation of the environment and of quality for the consumer. Every Saturday we can find honey, wines and oils, meats, cheese, cottage cheese, fruit, vegetables and products to fill the shopping basket. Organic foods are vegetal and animal products that do not contain pesticides or herbicides, respecting the natural fertility of the land and which use species, varieties and breeds adapted to the environment. The days of the Mercat Ecològic Itinerant, adults and children can participate in various workshops and activities that allow to know and understand other ways of cultivating the land and working in harmony with nature and the environment. 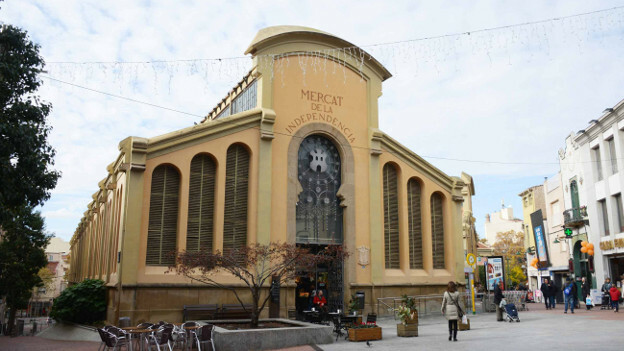 The Mercat Central of Sabadell is a building designed by the architect Josep Renom, which began to be built in 1927, on pieces of land that were known as the Camp de la Sang. 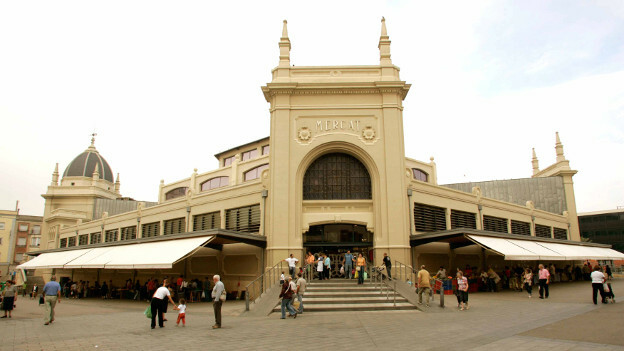 The Nou Mercat (New Market) was inaugurated in 1930 and until the end of the 19th century, it was known as the Creu de Mà. The market functioned without interruption until 1999, when they had to carry out a process of restoration of the building. This remodeling allowed to ensure the development of normal commercial activities and market adaptation to current needs. The Central Market traders have opted to adapt to new consumption habits by adding new services, diversifying the offer, incorporating new types of trade, adapting to new technologies and, mainly, by launching marketing campaigns and tools of acquisition and retention of customers. The new Mercat Vell de Sant Cugat is a space for gourmets, where to buy, eat, drink, discover and share dining experiences. Installed in a centenary and modernist building, it has become a smart market of the 21st century with high quality products to buy and taste. A dozen market stalls and restaurants offer the best fruit, fish, vegetables, Japanese food, meats, sausages, crepes, salads, Argentinian and Mexican cuisine, gourmet, smoothies, wines, bread and cakes to buy or to eat in bars, in the tables that surround the market stalls or on the terrace of the market (Plaça Sant Pere). In addition, the market hosts monthly shows, tastings, workshops, and other experiences for foodies. 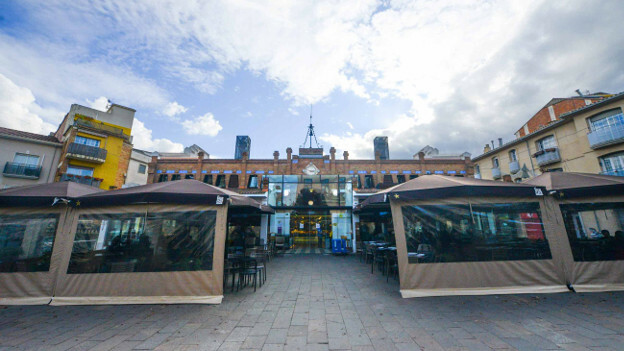 A leisure gastronomical proposal which complements the wide commercial offer of the old town of Sant Cugat, real pole of attraction for residents of the Vallès.